Classic Club represents what golf is all about - beautiful layout, scenic beauty, variety, challenge, excellent service, and a very memorable experience. 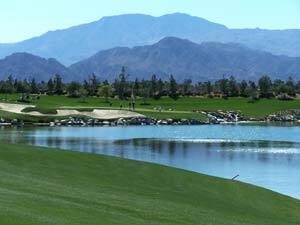 Classic Club is an 18 hole championship course located in the Coachella Valley of Southern California a few miles from Palm Springs. The course is managed by Troon Golf - one of the leaders in upscale golf management with a focus on creating an extraordinary experience for the golfer by providing superior service, amenities, and excellent courses. They have exceeded their goals with Classic Club. Classic Club was created by the Berger Foundation and has been gifted to the Bob Hope Classic Tournament and it provides the final stage for the tournament finish. In fact, the course was built expressly to host the Bob Hop Classic in 2006. 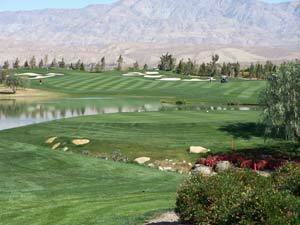 Classic Club is unique for golf courses in the Palm Springs area - no real estate inside the core of the course, tailor made to provide 360 degree views of the mountain ranges, completely different vegetation, and NO PALM TREES! In addition, it is unique because it has been designated as part of the fringe-toed lizard preserve - a fact every golfer needs to know! 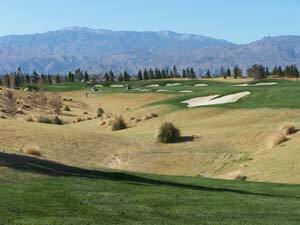 Instead of the typical Palm Spring golf course palm trees, you'll find 4000 indigenous pine, pepper, and olive trees offset by dramatic flowers, spectacular water features, and shrubs and pine straw ground cover. Arnold Palmer was the designer and he carved the course out of the flat barren desert and created rolling terrain and several elevated tees which quickly became the core features of the course. 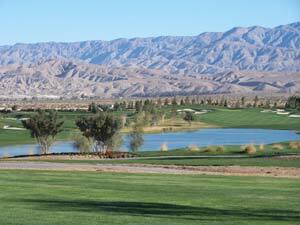 Classic Club sits on 246 acres and has 32 acres of lakes and streams. The 7,305 yard par 72 layout with 5 sets of tees offers a variety of tee options appealing to players of all levels, from the novice to those on the PGA Tour. When you drive up and visit the club house, you may be tempted to stay all day and enjoy a lunch and some cold drinks on the the terrace which overlooks the cascading water fall and provides awe-inspiring vistas of the course and mountains. But you have to get up and go play this beautiful course, you can always come back to the terrace AFTER your round and reminisce about your round and when you can play it again. 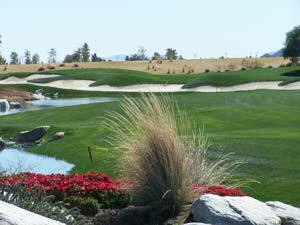 This very dramatic and spectacular new 60,000 square foot Tuscany village looking clubhouse opened in 2007 and it provides beautiful views of the entire course and surrounding mountains. The clubhouse has marble tile, ironworks, and it's own stone bridge with a water feature to blend with the existing course accoutrements. The clubhouse has a full service 2000 square foot golf shop, members only lounge, snack bar, lounge, locker rooms, and other first class amenities. The picture to your left was taken while the clubhouse was still being built - I can't wait to see it when it's finished. Classic Club has one of the most beautiful practice areas which includes a short game area with bunkers, a large putting green, and a magnificent state-of-the-art two sided driving range with targets. Your round of golf includes unlimited range balls and I highly recommend that you hit a few and put a few to get your A game ready. Group clinics or private lessons are available 7 days a week from PGA affiliated instructors. To score well here, you might even consider a lesson! Classic Club is a public course but it has the service, amenities, and feel you would expect at one of the countries best private clubs. The course is well deserving of its accolades: Top Five Best Courses over $75, Top 5 New Public Course in America by Golf Digest, and nominated for Best 100 Places To Play. Just getting to the first tee is impressive, but if for some strange reason, you're not impressed by the time you get to the first tee, then keep your hopes up because this course is not going to disappoint you. 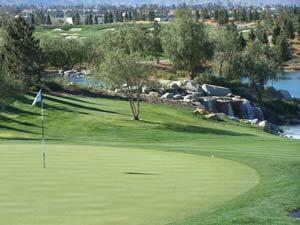 Classic Club's terrain is rolling and undulating fairways plus a number of elevated tees. When we played the course it was only 6 months old, but you would never know it. The greens and fairways were lush and immaculate and the landscaping was spectator and seemed like it had been there for years. All of the bunkers are expertly sculpted and have thick soft white sand - you will most likely get to experience it at least once. The greens are in perfect condition and run quick and true. It is hard to find a course that is this well maintained. The five sets of tee boxes allow you to make this course as demanding as you choose. You best have your A game with you if you plan on playing the tips at 7305 yards (rating of 75.3 and slope of 142). To keep you on your game there are 11 holes with water hazards and over 80 sand or waste bunkers - all of which seem to be strategically placed. 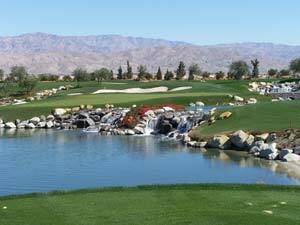 Don't let the cascading streams, beautiful landscaping, and mountains distract you - admire all of them from the tee box and before each shot! The greens are something else altogether. They were in perfect condition, not a divot to be found! All the greens are quite varied and some made a two putt pretty difficult. They ranged from average size to humongous, from level to tiered, and from gently sloping to very undulating. They did seem fast, but true if you studied from all sides before putting. So, after you practice your short game, spend plenty of time on the putting green. Please don't let all of the above challenges scare you off - you can handle it! Just make sure you pick the appropriate tee boxes to play from and employ careful course management and you will have one of the most enjoyable rounds of your life. If you want to see a hole by hole look at the layout, click here - you'll also find the slope and rating. Rates are reasonable for a course of this quality and they vary by season. 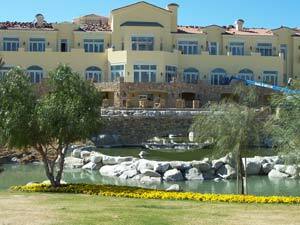 For example in November 2007 the rates varied from $95 to $165 and a forecaddie is included from November through April. Classic Club will be a lasting memory - its scenic beauty, lush and meticulous grooming, challenge for all skill levels, and fantastic amenities will be difficult to forget. Let's hope it doesn't spoil you appreciation for your home course! 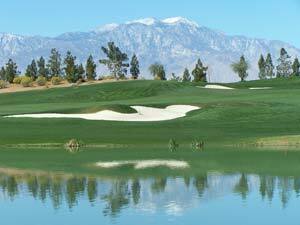 You can't leave the Palm Springs area without playing this course. Enjoy.